Not every fluid control application needs a modulating valve. In some cases, a two state control algorithm, flow or no flow, is the best solution. Opting for a less complex control method can deliver up front benefits of lower first cost and easier implementation. Continuing savings in maintenance time and the ease of understanding the control sequence accrue for the life of the installation. The Mark 76 On/Off Control Valves, from Jordan Valve, are an advantageous choice for applications as described above. They exhibit very rapid opening and closing times with the short stroke sliding gate design. 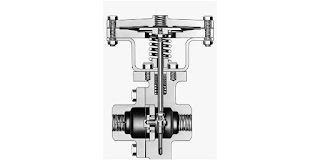 The pneumatically operated valve can be configured to open when pressure is applied, or to close. 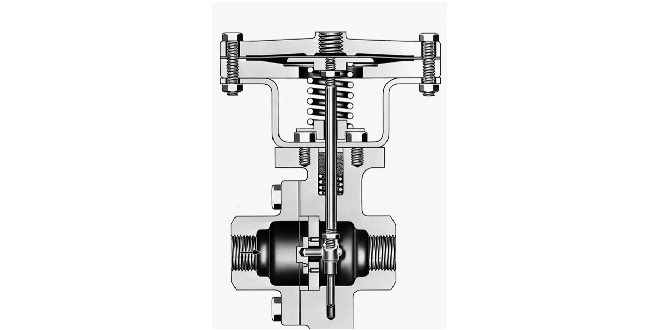 The counterforce spring returns the valve to its normal state when no air pressure is applied to the actuator. This allows the valve to be controlled using a small solenoid valve. The sliding gate design does not use soft seats, but delivers tight shutoff and is suitable for steam service. The low air pressure requirements and short stroke required by the sliding gate contribute to the longevity of the Mark 76 in control applications. More information is in the datasheet included below. Share your fluid control requirements of all types with valve application specialists, leveraging your own process knowledge and experience with their product application expertise to develop an effective solution. Mark 76 On/Off Control Valve from Hile Controls of Alabama, Inc.